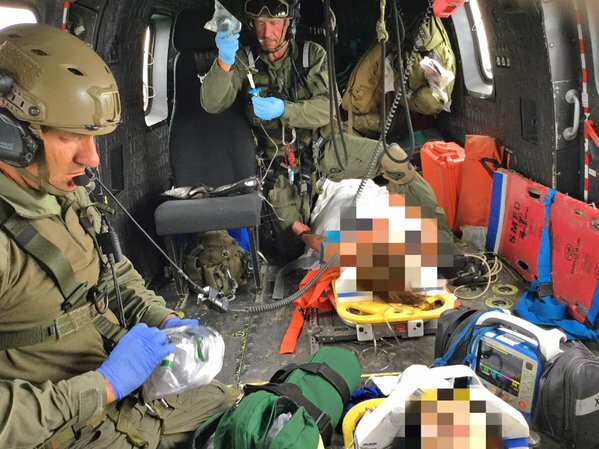 ANGELES NATIONAL FOREST >> Two men beat and robbed a woman Saturday as she was stopped along San Gabriel Canyon Road in the Angeles National Forest north of Glendora to take pictures of the scenery, authorities said. The violent robbery took place about 11 a.m. near mile marker 19 of San Gabriel Canyon Road, Los Angeles County sheriff’s Lt. Elisabeth Sachs said. A woman in her mid-20s parked her car and was taking photographs over the roadside when she saw to men approach her car, the lieutenant said. The woman confronted the men, who attacked. “They struck her with their fists and kicked her with their feet,” Sachs said. The victim fought back but was overpowered by her two attackers. The robbers then rifled the woman’s pockets and fled with a small amount of money and other personal items. The woman suffered significant but non-life-threatening injuries, Sachs said. Both robbers were described as young Latino men between 16 and 20 years old. One stood about 5 feet 8 inches tall, weighing 150 to 170 pounds, with short black hair and clean-shaven, Sachs said. He wore a red short-sleeve shirt, blue jeans and black shoes. His accomplice stood 5 feet 11 inches to 6 feet 1 inch tall, weighing 240 to 260 pounds, with black hair grown long on top, also clean-shaven, wearing a black jacket, blue jeans and black shoes. The attackers fled in two separate vehicles, Sachs said. One was a 1990s-model four-door Honda, and the other was a gray, four-door Saturn hatchback. WHITTIER >> Police are planning a special enforcement campaign Tuesday focused on improving safety for bicyclist, officials said. During the bicycle safety enforcement operation, officers will conduct special patrols seeking both drivers and bicyclists who make traffic violations, Whittier police officials said in a written statement. Officials will focus, in particular, on areas that have seen the highest number of bicycle-involved collisions. Whittier police have investigated 113 bicycle collisions involving injury or death over the past three years, according to the statement. 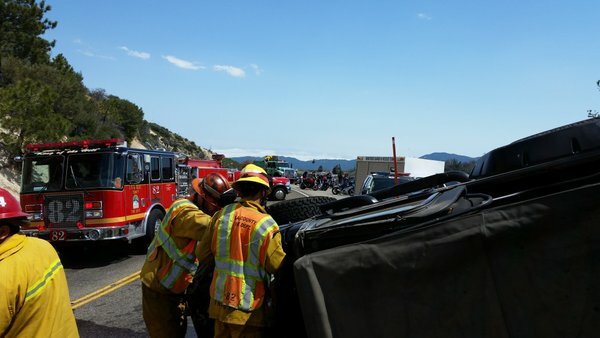 Funding for the campaign is being provided by a grant from the National Highway Traffic Safety Administration, through the California Office of Traffic Safety. SOUTH WHITTIER >> Two men attacked a gas station attendant during a robbery attempt in South Whittier on Friday, but fled empty-handed after they couldn’t figure out how to open the cash register, authorities said. The crime took place shortly before 2 a.m. at a Chevron station at Imperial Highway and Valley View Avenue, in the unincorporated county area of South Whittier, according to Los Angeles County sheriff’s officials and logs. Two men entered the store and punched the clerk, sheriff’s Lt. Robin Limon said. The robbers tried to help themselves to the store’s money, but were unable to open the cash register and fled without taking anything, she said. The clerk was taken to a hospital for treatment. The extent of his injuries was not available. AZUSA >> Police jailed an Azusa woman Friday on suspicion of stealing packages after a police officer recognized her from security camera footage that captured one of the thefts earlier in the day, authorities said. Blanca Alvarado, 40, was booked on suspicion of petty theft and possession of stolen property, Azusa police Sgt. John Madaloni said. The investigation began when police were summoned to a home in the 300 block of South Pasadena Avenue after two packages were stolen from a front porch, Officer Mike Bires said. “Once the officer began her investigation, she learned there was a surveillance video recording of the suspect committing the theft,” Bires said. The officer completed her investigation at the home and resumed her normal patrol. A few hours later, the officer spotted Alvarado walking about a block to the north, at McKinley Street and Pasadena Avenue, police said. Police soon determined all of the packages had been stolen, he said. Alvarado was cited for the alleged misdemeanors and released from custody with a court date, Bires said. Bires said police recommend residents make use of security cameras, as they can be extremely useful during law enforcement investigations should residents become crime victims. Police in Alhambra arrested another alleged package thief two weeks ago after she was confronted by the camera-toting homeowner, who posted video of the confrontation online. The video went viral, helping lead to the suspect’s capture one day after the video was published. 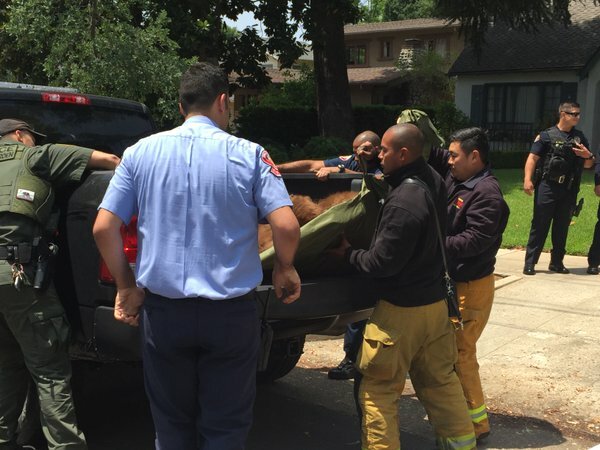 PASADENA >> Officials tranquilized a 300-pound bear and returned it to the forest after it wandered more than two miles out of the forest and into a Pasadena neighborhood Saturday morning, authorities said. Police and California Department of Fish and Wildlife officials chased the bear through a neighborhood for about three hours after it was first spotted about 9 a.m. in the 1300 block of E. Washington Boulevard, Pasadena Police Lt. John Mercado said. Officials followed the bear as meandered through the neighborhood and ultimately settled in a tree in a residential yard in the 1000 block of N. Michigan Avenue, Mercado said. Fish and Wildlife officials tranquilized the bear before loading it into a pickup truck for lift back to the Angeles National Forest. PHOTO courtesy of the Pasadena Fire Department. WEST COVINA >> In a strange seemingly illogical series chain of events, a man and woman called police on themselves to falsely report a carjacking Friday before leading West Covina police on a chase that ended with a crash in Bassett that injured two bystanders, including a little girl, authorities said. Britanny Benquenchea, 26, and Joshua Rodriguez, 27, both of Victorville, were accused of crimes including evading police and assault with a deadly weapon in connection with the bizarre episode, which began just after 7 p.m. at the Plaza West Covina shopping mall, West Covina police Lt. Travis Tibbetts said. Both are on parole for robbery, and Benquenchea wears a GPS tracking device. Police first responded to the mall, 112 Plaza Drive, after a woman called 911 to report she had been carjacked of her 2015 Toyota Corolla at gunpoint by a man and woman, the lieutenant said. Responding officers spotted a car matching the description of the stolen Toyota, containing a man and woman matching the description of the carjackers, driving just south of the mall. Benquenchea, who was driving, refused to pull over for police, initiating a high-speed chase. The pursuit ended minutes later when the fleeing car struck a civilian vehicle at Amar Road and Willow Avenue, Tibbetts said. Both suspects were detained at the scene, he said. Police used a K-9 to help apprehend the male suspect, who refused to comply with officers’ commands. An 8-year-old girl who was riding in the car struck by the fleeing suspects was initially hospitalized in critical condition, but was expected to survive, Tibbetts said. A woman in the vehicle, described only as an adult, was also hospitalized. Neither victims injuries were believed to be life threatening. The investigation then took an unexpected turn. Officers determined Benquenchea herself had called the police to falsely report being carjacked, Tibbetts said. After being involved in a fight and getting escorted from the mall by security guards, Benquenchea and Rodriguez became involved in a confrontation with security before speeding away from the mall, police said. The suspects may have struck a parked car as they left, he said. The details of the incident at the mall remained unclear late Friday. “Apparently, they decided to call and report a carjacking, describing themselves as the suspects,” Tibbetts said. The call appeared to be some sort of ill-thought-out ruse to divert police attention from the mall incident, he said. Although Benquenchea gave descriptions matching herself and Rodriguez as that of the phony carjackers, she reported the purported carjackers had fled in the opposite direction. Benquenchea gave her real first name while reporting the carjacking, Tibbetts added. And when police called back the number, Benquenchea’s phone rang through the Toyota’s wireless audio system. “I’ve never seen that before,” Tibbetts said. Witness Christopher Morales posted footage of the male suspect being taken into custody with the help of a police K-9 on the social media network. 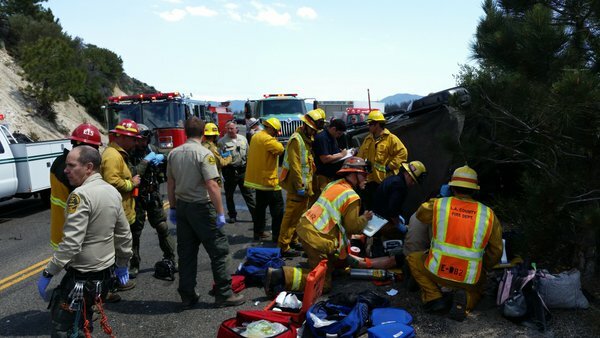 Another witness, April Aguirre, posted video of the aftermath of the collision in which firefighters can be seen treating an injured patient on Twitter. The female suspect appeared to be wearing a GPS ankle bracelet, she said. “When they brought her out she seemed like she was on drugs,” the witness added. In an email, Aguirre said she did not see the crash itself, as she arrived afterward. “When I got there they had a male on a gurney taking him away. Then a couple minutes later they had a female in the video in handcuffs & she could barely walk or she was resisting it seemed like,” she said. The woman yelled out, “Please don’t leave me,” and other phrases as firefighters treated her injuries, Aguirre said. Both suspects were hospitalized prior to booking, Tibbetts said.